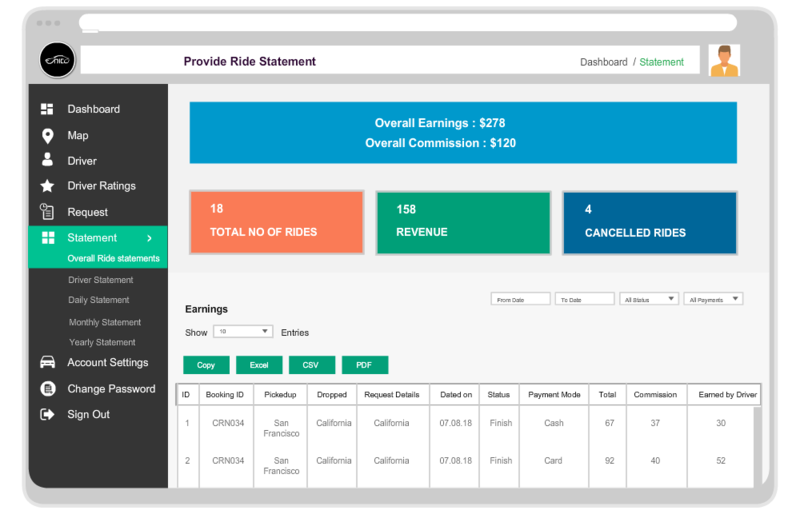 Apply a total control over all assets, taxi reservations, transactions, and play out all CRM exercises, in the administrator dashboard. 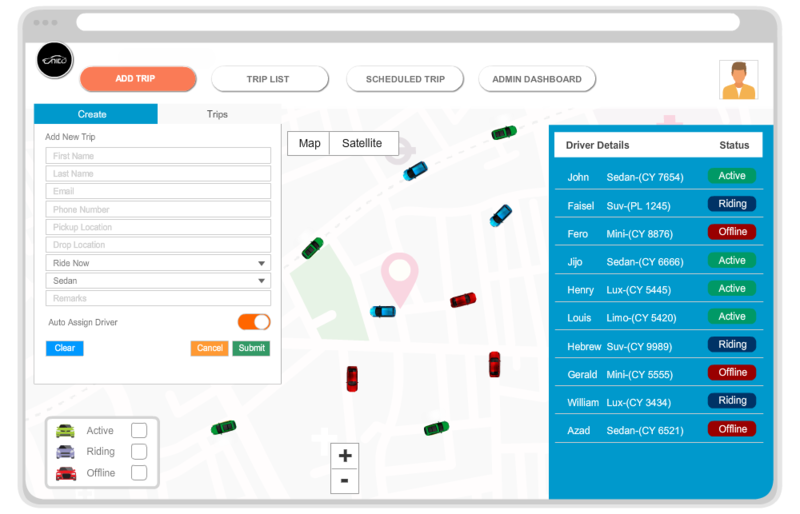 Include and manage dispatchers, drivers, and taxi cabs given particular areas and accurate and incite dispatch benefit. 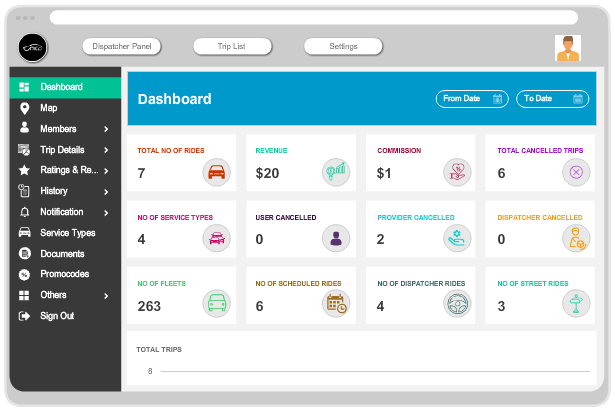 Unicotaxi provides a scintillating user-friendly live dashboard which allows admin to eye on different ongoing business status like total Number of rides ,Revenue, commision,No of fleets, No of canceled Ride etc.Admin can easily glance the overall status of business at no time. Reports are the heart of the software. Here, admin can generate Various type of reports like overall statement, driver wise statement, company wise etc. 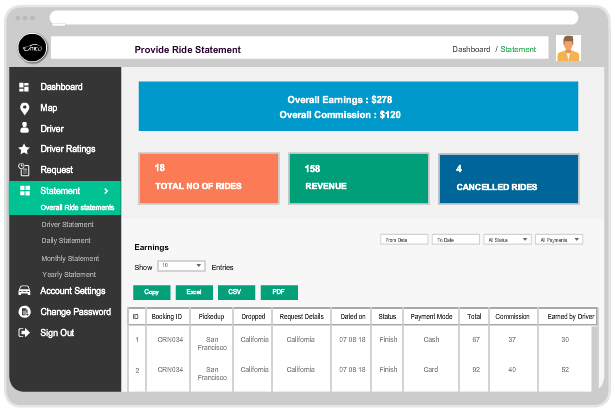 Each report section gives you detailed and precise information about the entire business revenue. Unicotaxi furthermore provides different filtering which makes admin to get the results of what is needed actually. Dispatcher Panel is designed in a way, where dispatch agents can easily track the overall available vehicles based on Availability, Busy etc. Booking form helps dispatcher to create a job and send it to the nearest available driver at ease. Admin can create any number stand-alone dispatcher panel for each agent respectively to handle huge concurrent booking. Exiting customer Database are retrieved at no time for quick allocation of a taxi. which actually reduces 95% of manual data entry during job creation. A Software should be made in way where admin can bring more customer into his business without much marketing effect. 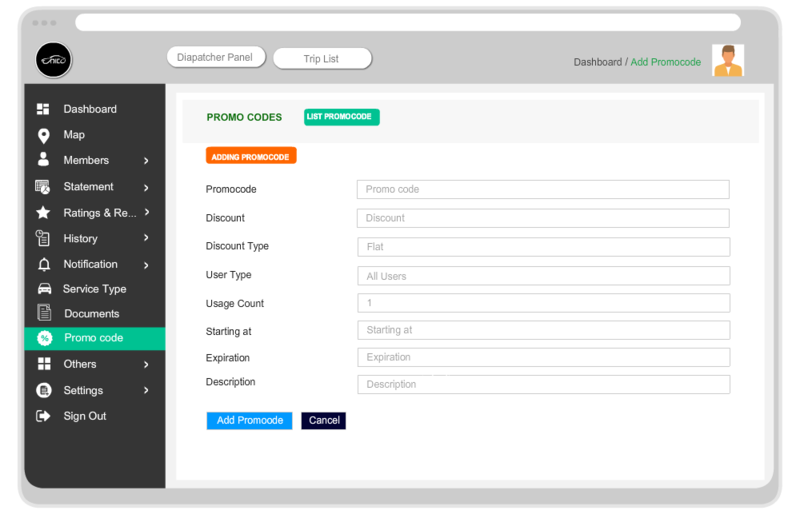 Promocode option in admin gives clear cut technology to maximize the usage of apps by the customer. We have numerous option which allows admin to create variety of codes and their applicabilities based on the season.Customer Reputation can achieved at ease using promocode option. Manage your new and existing user, categorize your customer to get more attraction about your business. Our admin panel provides a option to create a separate panel for small companies to manage their vehicles, dispatching and commission. 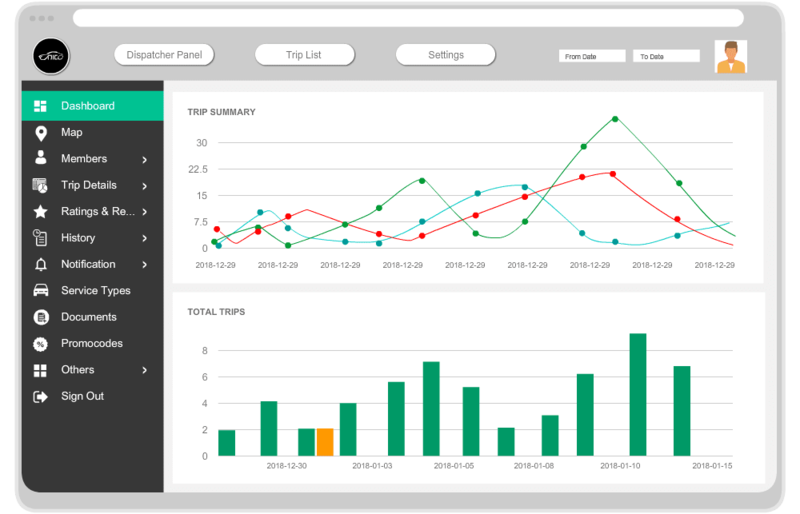 Live dashboard helps to manage your business, Showing business heat maps, reaching wide number of customer. Automatic and Manual Dispatch is stand alone option, which even dispatches a cab to the passenger all time by enabling Auto Dispatch option. 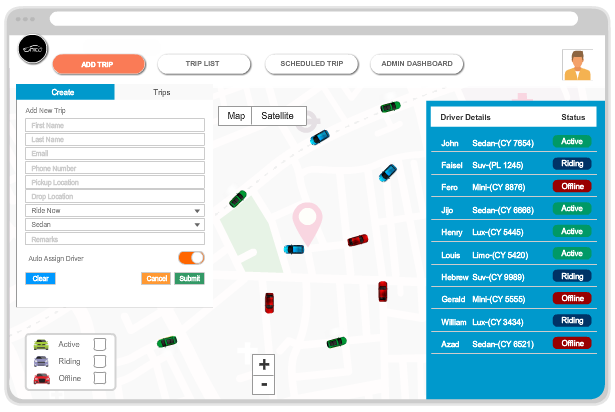 Spot your driver on each second to improve your business quality and allocating more driver on high demand places. Never lose a customer, grab their attention on special offer and keep serving good service. Transparent business reports on all scenario will help you to get maximized revenue. Agents can make a booking on dispatcher, when customer call to hotline. Increase your rate card on high demand places for taxi booking.